Today, we are happy to announce that you can now invest and earn net annual returns of up to 13% on consumer loans issued by Monego, one of the fastest growing financial institution in the Republic of Kosovo! Monego is a financial company that started operating in May 2018 and is licensed and regulated by the Central Bank of the Republic of Kosovo. The company offers fast, hassle-free micro-financing solutions to meet the liquidity needs of individuals. During its first eight months of operations, Monego has managed to become a leader and trendsetter in the fast-paced lending sector of Kosovo by applying innovative technology. Monego was the first institution to offer online loans and automatic scoring in the Republic of Kosovo, which enabled it to become the creditor with the highest number of loans issued by the end of 2018 in the country. On Mintos, the loan originator will offer first short-term single payment loans followed by instalment loans in the near future. You can now invest in Monego’s Kosovo-issued short-term loans on Mintos ranging from EUR 20 to EUR 300 with a maturity of up to 30 days. Instalment loans, which will be offered later by Monego on the marketplace will have a maturity of up to 12 months and the loan amounts will be up to EUR 1 000. Monego is a related party to Mintos. All loans issued by Monego will be secured with a buyback guarantee. This means, should a loan be delinquent for 60 days or more the loan originator will repurchase the loan. In addition, to keep its skin in the game, the company will keep 15% of each loan it places on the marketplace on its balance sheet. “We intend to revolutionise the financial industry in Kosovo by bringing innovation, friendliness, and financial inclusiveness to new heights. Part of our trailblazing products include the automatic scoring of clients, plus customers only need ID to receive a loan. Furthermore, we strive for high customer service standards by providing an extensive branch network, covering all major towns of Kosovo and, in addition, by offering our services completely online,” said Egzon Halili, the CEO of Monego. To become a market leader in providing convenient lending solutions, Monego has developed a network of 11 branches throughout the territory of the Republic of Kosovo, with plans to expand it further in 2019. Each of the branches has a standardised look and service quality, making Monego the comfortable go-to option for all fast financing needs. On average, a new client is served in less than 15 minutes. In its first eight months of activity, Monego has disbursed over 60 000 loans worth more than EUR 8.5 million. By the end of December 2018, Monego’s net portfolio amounted to EUR 4.1 million. First Payment Default of 30 days (FPD30) has been decreasing to below 8%, as the company constantly explores innovative ideas to grow its business by providing a better and more customised quality of service, including more products, an easier application process, and convenient repayment options. Investing in loans issued by a market leader has never been easier! 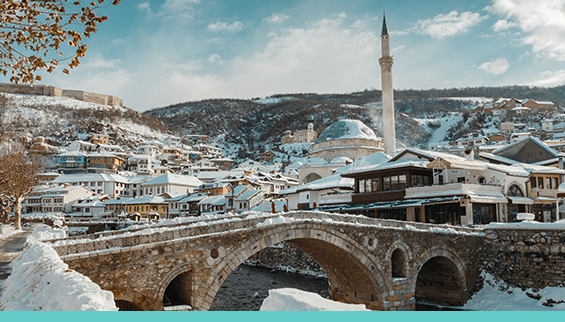 Don’t miss out on this great opportunity to invest in Kosovo-issued loans from Monego, and remember, if you use Auto Invest, be sure to update your settings accordingly.